Breakfast: A green smoothie of 1 cup frozen mango, 3 deglet noor dates, 1 scoop Amazing Grass Green Superfoods powder, 2 tbsp chia seeds, 4 large leaves lacinato kale, and 1 cup homemade almond milk, all topped with a homemade granola of apples, buckwheat groats, cooked brown rice, walnuts, goji berries, blueberries, hemp seeds, cinnamon, cardamom, turmeric, maple syrup, and coconut oil. I crafted this particular granola on the first morning of my stay in my parents’ NYC apartment over Vassar’s spring break, implementing the limited supply of items in their pantry as well as the various superfood ingredients that had traveled with me. Thus, instead of abiding by my usual template for fresh fruit-sweetened granola by pureeing up a mixture of fresh & dried fruit with various spices and coconut oil in which to coat nuts and grains, I shredded an apple and mixed it with about 2 tbsp each of maple syrup and olive oil to provide adequate moisture for the rest of the granola. Quite crunchy, nicely spiced, and bejeweled with bursts of juicy blueberries, this makeshift granola turned out surprisingly well for a creation comprised of odds and ends. Breakfast Checklist: Protein—chia seeds, almond milk, walnuts, hemp seeds. Whole Grain—buckwheat, brown rice. Fruit—mango, dates, apples, goji berries, blueberries. Leafy Green—kale. Superfoods—Amazing Grass powder, chia seeds, hemp seeds, goji berries. Morning Tea: Mayan Secret Green Tea from local NYC store Spices and Tease. Though the aroma of this tea (which includes sencha green, mate, rooibos, and darjeeling teas mixed with lemongrass and bits of carrot, pineapple, and papaya) promised a complex fruity flavor, the amalgamation of various teas created a harshness that vastly overpowered any hope of a pleasingly refreshing tang. 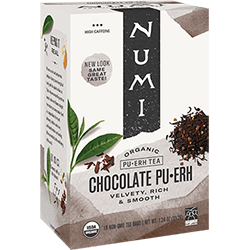 Perhaps I’ll simply have to play around with the steeping time and amount of tea used for each cup, but my experiences with this tea thus far have proved rather unfortunate. Lunch: A sandwich of BBQ Tempeh strips, celery-apple-carrot slaw coated in Luscious Lemon Dressing from the Ayurvedic Vegan Kitchen, and avocado slices between two experimental cornbread fritters. I served the sandwich alongside a salad of mixed greens, alfalfa sprouts, mixed bean sprouts, sprouted almonds, and dulse flakes, tossed with Liquid Gold Dressing and topped with Green Raw Slaw from Bao’s. For dessert, I enjoyed a raw truffle made with sprouted sunflower seeds, sprouted almonds, dates, and maca powder, inspired by this recipe. The impetus for this sandwich began with my discovery of a waffle iron hidden in the back of a cabinet in the NYC apartment currently subletted by my parents. Inspired to craft a savory waffle in part by this recipe of Kristy’s, I contemplated a southern-flavored checkered quickbread to complement the Barbequed Tempeh Sandwich Filling that I had made earlier that day from a new cookbook of mine—the James Beard award winning Modern Vegetarian Kitchen by Peter Berley, who apparently served as the executive chef at NYC vegan staple restaurant Angelica Kitchen for nine years. Unfortunately, the lack of gluten-free flours in my parents’ sparse pantry rendered me scrounging for waffle base options. In a bout of vegan MacGyver-ness, I combined 1/2 cup white cornmeal (already in the pantry), 1/4 cup roasted buckwheat grouts finely ground in the food processor, and 1/4 cup almond pulp leftover from the milk I had made that morning to comprise the full cup of flour required for four waffles. After mixing the flours with nooch, baking powder, baking soda, paprika, cumin, oregano, tomato paste, maple syrup, liquid smoke, almond milk, and coconut oil, I excitedly heated up the waffle iron, oiled it, spooned the batter in to yield a satisfying sizzle, closed the iron, waited for the light to signal the waffle’s completion, opened the iron, and…experienced utter failure. The batter had all but completely stuck to the iron, probably due to both an inadequate oiling of the iron and an overly thick batter lacking in a starch of any sort. Sigh. I managed to salvage the remaning batter by pan-frying it into thick pancakes, but still reeled from crushed waffle-based dreams. Curse you waffle iron! I shall prevail eventually. Meal Checklist: Protein—tempeh, sprouted almonds, sprouted sunflower seeds, almond meal, tahini. Whole Grain—cornmeal, buckwheat flour. Vegetables/Fruit—celery, apple, carrot, avocado, alfalfa sprouts, bean sprouts, dulse flakes, ginger, pears, dates. Leafy Greens—mixed greens, kale, collard greens, dandelion greens, radish greens. Afternoon Beverage: Choice Organic White Peony tea. A bottle of Carpe Diem’s Kombucha in Quince flavor. With an off-putting taste of artificial sweetener (certainly not one of the actual ingredients, though) and an inadequate amount of carbonation, this particular brand of kombucha failed to fully satisfy my mid-afternoon beverage needs. Try as I might to find a brand of local kombucha (other than the Madison-based NessAlla, of course) of as high a caliber as GT’s, I’ve not yet honed in on one. The search continues! Dinner: A Middle Eastern feast, shared with my parents in their temporary NYC apartment, of Cookie & Kate’s Crispy Baked Falafel with Creamy Tahini and Dill Dressing, sandwiched between Cara’s Gluten-Free Pita Bread along with mixed greens and cherry tomatoes, accompanied by a side of cauliflower and carrots roasted with cumin, paprika, and coconut oil. My changes to Kate’s original falafel recipe include substituting canned chickpeas for dried (I worried about the digestibility of merely soaked rather than fully cooked beans), adding 1/2 cup sprouted almonds and 1 tbsp GF flour blend to the mixture, and omitting the salt. Though Kate warns against implementing canned beans in the recipe, I found that adding the almonds and flour ensured adequate binding of the falafel, even when using the more moist canned chickpeas. Crispy on the outside, creamy on the inside, and not at all dry or mealy like many of the falafel recipes with which I’ve experimented in the past, the falafel verily impressed my parents (and fulfilled my mother’s three-day-long craving for falafel), who helped me to scarf down the entire batch of herby chickpea fritters. My only critique of the recipe pertains to the Creamy Tahini and Dill Dressing; the lemon tasted a bit too harsh, in my opinion. However, that minor flaw certainly did not prevent me from slathering the dressing all over my falafel sandwich. As for the pita bread, I utilized the gluten-free flour blend from Bob’s Red Mill instead of Cara’s homemade blend, replaced the sugar with maple syrup, substituted 1 tbsp flaxseed meal for the xanthan gum, and decreased the salt to 1/4 tsp. I had rather excited myself about the prospect of perfectly crisp, toasty, homemade pita pockets, and therefore became thoroughly disappointed when the pitas would not puff up or slice open as promised (reasons for this fault include the omission of xanthan gum, not allowing the water bath to adequately heat up in the oven, or over-working the dough). Regardless of cooking complications, the pitas still tasted delicious, acting as sliced of bread between which to sandwich the falafel and fixings, rather than as pockets in which to stuff the ingredients. Meal Checklist: Protein—chickpeas, sprouted almonds, tahini, chickpea flour, fava bean flour. Whole Grain—sorghum flour. Vegetables—onion, garlic, tomatoes, cauliflower, carrots. Leafy Greens—mixed green, parsley, cilantro, dill. Comment Provoking Questions: How do you adapt your cooking to kitchens not as well-stocked as to which you’re accustomed? Do you own a waffle iron? Have you had luck with it? What is your favorite brand of kombucha other than GT’s? Have you made pita bread yourself before? Breakfast: A green smoothie of 1/2 a cameo apple, 1/2 of a frozen banana, 1 tbsp chia seeds, 1 tbsp hemp seeds, 1 tsp maca, 1/2 tsp spirulina, 1 tbsp goji berries, a large handful of kale, and 1/2 cup Gingerberry kombucha, topped with the last half-cupful of my most recent granola creation featuring GF rolled oats, raw buckwheat groats, unsweetened shredded coconut, flaxseed meal, pecans, and walnuts coated in a puree of apples, dried apricots, almond extract, cardamom, cinnamon, and coconut oil. Though I ran out of almond milk for this particular smoothie, later this morning I blended up an experimental milk comprised of the nutty odds-and-ends in my pantry to create a hybrid almond-cashew-pistachio-flax milk. Tinted slightly green from the pistachios, this milk serves as a deliciously creamy precursor to the upcoming St. Patrick’s Day festivities, and boasts those heart-healthy omega-3’s about which we health-conscious folk rave thanks to the flax seeds. I may just start regularly incorporating different nuts into my homemade milk routine to compliment the standard almonds. Breakfast Checklist: Protein—chia seeds, hemp seeds, flaxseed meal, pecans, walnuts. Whole Grain—GF rolled oats, buckwheat. Fruit—apple, banana, goji berries, dried apricots. Leafy Green—kale. Superfood—hemp seeds, chia seeds, spirulina, goji berries, maca, flaxseed meal, kombucha. Morning Tea: Pukka Herbs’ Three Fennel tea with sweet fennel seed, wild fennel seed, and fennel leaf. Lunch: A salad of mixed greens, shredded carrots, slivered almonds, diced dried apricots, sage-braised giant white beans, brown rice, and dulse seaweed flakes, all tossed in Liquid Gold Dressing and topped with Bao Fermented Food’s Green Raw Slaw of kale, collard greens, dandelion greens, radish greens, apples, pears, garlic, and ginger. Unexpected leftovers discovered in the refrigerator comprise a wonderfully positive aspect of living in Ferry Haus along with 20 other talented veg*n cooks. The sage-braised white beans gracing this salad stem from one such occasion of wonderful lunchtime surprise. As for the Green Raw Slaw, I picked up a jar from Bao’s booth at the NYC Vegetarian Food Festival and cannot adequately express my happiness with my frugal ($4 off of the original price at the festival!) and mouthwatering purchase. Kale and fermented food all rolled into one immensely flavorful salad topper? Be still my beating heart. Meal Checklist: Protein—white beans, almonds. Whole Grain—brown rice. Vegetables/Fruit—carrots, apricots, apples, pears, garlic, ginger, dulse flakes. Leafy Greens—mixed greens, kale, collard greens, dandelion greens, radish greens. A bottle of GT’s Organic Raw Kombucha in Gingerade flavor. Dinner: A simple saute of broccoli, brussels sprouts, and Bragg’s Liquid Aminos; an amaranth-millet pilaf seasoned with liquid smoke and paprika; and a pile of crunchy roasted chickpeas seasoned with liquid smoke, agave nectar, and paprika. Stay tuned for the recipe for this deeply satisfying dish, inspired by my mother (who recently adopted a vegan diet after watching Forks Over Knives), in an upcoming blog post. Meal Checklist: Protein—chickpeas. Whole Grain—amaranth, millet. Vegetables—brussels sprouts, broccoli. Leafy Greens—brussels sprouts, broccoli. Comment Provoking Questions: Do you like to combine different nut/seed varieties when making plant-based milks? How do you feel about fennel/anise-flavored items? Does your local grocer carry Bao’s tasty raw, fermented products? Have you tried roasting chickpeas before? Breakfast: A green smoothie of 1/2 a jonagold apple, 1/2 of a frozen banana, a handful of frozen blueberries, 1 tbsp chia seeds, 1 tbsp hemp seeds, 1 tsp maca, 1/2 tsp spirulina, 1 tbsp goji berries, 3 leaves of kale, and 1/2 cup homemade almond milk, topped with a half-cupful of my latest granola creation featuring GF rolled oats, raw buckwheat groats, unsweetened shredded coconut, flaxseed meal, pecans, and walnuts coated in a puree of apples, dried apricots, almond extract, cardamom, cinnamon, and coconut oil. Breakfast Checklist: Protein—chia seeds, hemp seeds, almond milk, flaxseed meal, pecans, walnuts. Whole Grain—GF rolled oats, buckwheat. Fruit—apple, banana, blueberries, goji berries, dried apricots. Leafy Green—kale. Superfood—hemp seeds, chia seeds, spirulina, goji berries, maca, flaxseed meal. Morning Tea: Eden Organic Genmaicha Tea. Lunch: A deconstructed salad of sorts (perhaps “lettuce wraps” would serve as the correct term?) of four large leaves of lettuce schmeared with hummus and topped with quinoa, celery, mushrooms, sauerkraut, and dulse flakes, all drizzled with Liquid Gold Dressing. Meal Checklist: Protein—chickpeas and tahini in hummus. Whole Grain—quinoa. Vegetables—mushrooms, celery. Leafy Greens—lettuce, cabbage in sauerkraut, dulse flakes. A bottle of GT’s Organic Raw Kombucha in Hibiscus (Botanic No. 7) flavor. Dinner: A comforting and astoundingly flavorful soup of lentils and split peas cooked down into a creamy puree with mushrooms, celery, leeks, and cubes of tofu, served over a bed of wilted kale and topped with a brown rice-black bean pilaf as well as a sprinkling of nutritional yeast. Thanks to Franny and Robyn for anoter scrumptious Ferry dinner! Meal Checklist: Protein—lentils, split peas, tofu, black bean. Whole Grain—brown rice. Vegetables—mushrooms, celery, leeks. Leafy Greens—kale. Breakfast: A green smoothie of 1/2 of a winesap apple, 1/2 of a frozen banana, a small handful of frozen raspberries, 1 tbsp hemp seeds, 1 tbsp chia seeds, 1 tbsp goji berries, 1/2 tsp spirulina, 1 tbsp peanut butter, 1 tbsp coconut oil, 1/2 cup WholeSoy Organic Unsweetened Plain Yogurt, and 4 medium leaves of curly green kale, topped with a generous 1/2-cupful of a variation on Amie Sue’s Maple Pumpkin Spice Crunch Cereal. I’ve recently embarked on a mission to pack a bit of padding on my slender frame, and have thus started incorporating more calorie-dense, healthy fat sources into my meals—this accounts for both the peanut butter and coconut oil gracing the smoothie I’ve featured here. A note on the soy yogurt: Ferry House just received a bulk order of 24 oz. containers of WholeSoy Organic Unsweetened Plain Yogurt, the ingredients of which include simply soy milk, cornstarch, and live active vegan cultures. 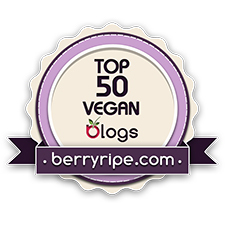 While I usually opt to exclude soy yogurt from my diet, due to the inclusion of various sugars and questionable chemical-esque products in most brands, I’ve fallen head-over-heels in love with the WholeSoy yogurt thanks to its probiotic content, creamy texture, and short ingredient list. The yogurt lends a pleasing tang and velvety consistency to smoothies such as the one above. As for the cereal, I slightly altered Amie Sue’s original recipe by substituting half of the rolled oats for raw buckwheat groats, replacing the pumpkin puree with that of apples, using two medjool dates in place of 2 tbsp of the maple syrup, and baking the cereal at 260° for about 90 minutes. The resulting cereal proved flaky, crunchy, and just the right balance of sweet and oaty (no, these two characteristics don’t seem like opposites, but think about how you would describe unsweetened, “hippie-crunchy” granola. Oaty, right?). Breakfast Checklist: Protein—hemp seeds, chia seeds, peanut butter, soy yogurt, almond pulp in cereal. Whole Grain—rolled oats and buckwheat in cereal. Fruit—apple, banana, raspberries, goji berries, dates in cereal. Leafy Green—kale. Superfood—hemp seeds, chia seeds, spirulina, goji berries. Lunch: A saute of mushrooms, shredded brussels sprouts, kale, almond butter, and balsamic vinegar, topped with tangy marinated mixed beans and a sprinkling of nutritional yeast, accompanied by two thick slices of Leek-Sundried Tomato Bread stuffed with the vegan mozzarella cheese from the Sept+Oct 2012 issue of VegNews (bread recipe inspired by Ricki Heller’s Cheese-Filled Onion and Olive Bread), drizzled with flax oil. Moist, dense, hearty, and oh-so-savory, the cheese-stuffed bread provided both novelty and immense flavor. However, I do wish that I had opted to employ a flour other than the quinoa, for its pronounced bitterness tended to overwhelm the palate’s experience of the bread. I would certainly still call this bread a huge success, though! My enthusiastic Ferry housemates would definitely agree. My changes to Ricki’s original recipe: replaced olives with sundried tomatoes; substituted leeks for green onions; and used quinoa flour in place of amaranth flour, oat flour in place of millet flour, and chickpea flour in place of soy flour. Meal Checklist: Protein—mixed beans, tahini, almond milk, flaxseed meal, chickpea flour (last four in bread), soy yogurt in mozzarella. Whole Grain—quinoa and oat flours in bread. Vegetables—mushrooms, leeks, sundried tomatoes. Leafy Greens—kale, brussels sprouts. Dinner: Three Polenta Sweet Corn Cakes topped with schmears of vegan mozzarella and accompanied by crisp greens tossed in a dressing of olive oil, Dijon mustard, cumin, nutritional yeast, and apple cider vinegar, and topped with both a salsa of tomatoes, cucumbers, mango, jalapeno, cilantro, and lime juice, as well as a dollop of tangy marinated mixed beans. Thanks to my dear housemates Tori and Alex for such a splendid dinner! Meal Checklist: Protein—marinated mixed beans, soy yogurt in mozzarella. Whole Grain—cornmeal. Vegetables—corn, cucumber, cilantro, tomato, mango, jalapeno. Leafy Greens—lettuce. Comment Provoking Questions: How do you feel about soy yogurt? Do you find the flavor of quinoa flour overwhelming? How do you temper its intensity? Forever enamored by the plethora of yeasty, hearty, whole-grain, scrumptiousness of the recipes featured in Jennifer Katzinger’s “Gluten-Free and Vegan Bread,” I once again opened my already copiously stained copy of the cookbook I received just this Christmas to try my hand at another one of Jennifer’s sweeter offerings—Raisin Cinnamon Rolls. One of two cinnamon roll recipes featured in the cookbook (the other is for Pecan Cinnamon Rolls), these subtlely sweet, intensely-cinnamony rolls boast an extra helping of decadence due to their filling of maple butter and plumped raisins. However, because maple butter costs quite the pretty penny, I opted to employ roasted almond butter in its place, imparting an extra level of unctuousness to the rolls. Though these rolls prove superbly moist and light when enjoyed straight out of the oven, I’ve found that they do not keep well and turn rather dry and crumbly after a mere two days of sitting on the countertop. Thank goodness I only made half a batch! I’ve also slathered these cinnamon rolls in an Orange-Scented Fig Jam spiced with fresh rosemary to yield astoundingly tasty results. Breakfast Checklist: Protein—hemp seeds, almond milk, almond butter, garbanzo bean flour, chia seeds, almond meal (last three in cinnamon roll). Whole Grain—brown rice flour, teff flour. Fruit—apple, banana, blackberries, goji berries, raisins. Leafy Green—lacinato kale. Superfood—hemp seeds, goji berries, Amazing Grass powder, chia seeds, carob powder. Local Ingredients: Kale from Don’s Produce (no website). 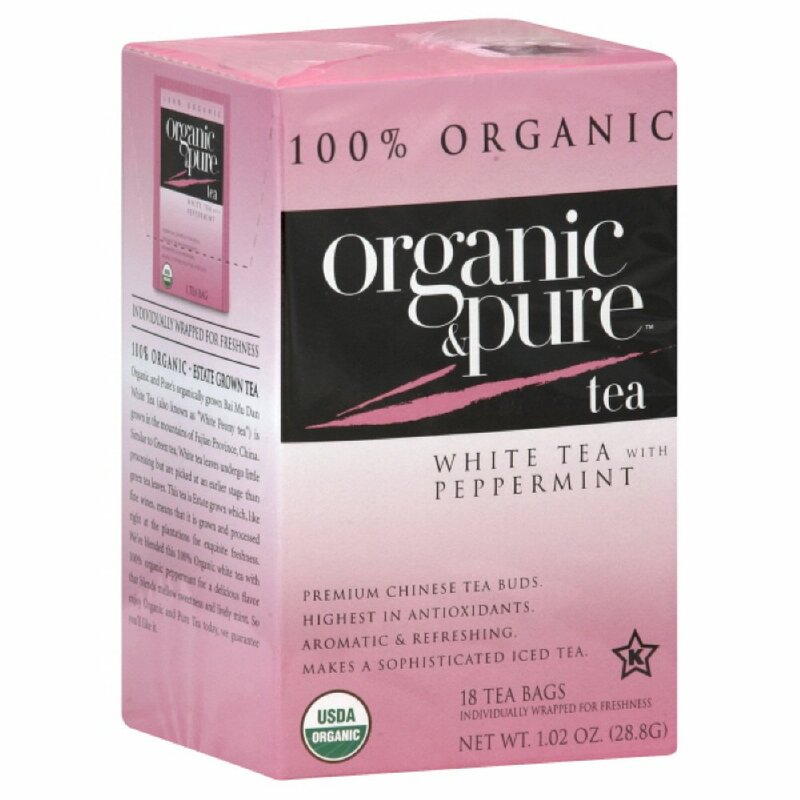 Morning Tea: Organic & Pure Peppermint White Tea. Though I usually harbor an aversion to peppermint tea, the delicately sweet note of the digestion-friendly herb featured in this surprisingly complex tea blend nicely complements the almost perfume-like taste of white tea—perfect for quiet afternoon contemplation and aiding your gut after lunch. Lunch: A Mushroom-Spinach Melt Sandwich of cashew cheese melted over the filling of Green Kitchen Stories’ Spiced Spinach and Mushrooms in Almond Tartlets in between two slices of the Focaccia recipe in “Gluten-Free and Vegan Bread,” accompanied by a salad of mixed greens, alfalfa sprouts, mixed bean sprouts, “farmhouse mix” sprouts, purple carrots, two spoonfuls of adzuki beans, and dulse seaweed flakes all tossed in Liquid Gold Dressing and topped with Fizzeology’s “Ferment of the Month” sauerkraut. I recently experienced a bit of an epiphany in realizing that I could craft hot, melty, ooey gooey sandwiches in addition to their (still delicious) cold counterparts with all of the gluten-free bread-baking in which I’ve engaged lately. This Spinach-Mushroom Melt comprises the second hot sandwich I’ve created, right after my quite well-received Roasted Brussels Sprout Grilled Cheese. After warming two slices of herbed focaccia on my built-in stove-top griddle, I piled on the spinach-mushroom saute offered by Green Kitchen Stories, topped it with three thin slices of cashew cheese, placed the now open-faced sandwich back on the griddle, and covered it with a large pot lid until the cheese melted, then slapped the second slice of focaccia on top. Yum. Meal Checklist: Protein—cashews, adzuki beans, chia seeds, garbanzo bean flour, flaxseed meal (last three in bread). Whole Grain—teff, brown rice, and buckwheat flours in bread. Vegetables—onion, shiitake and crimini mushrooms, alfalfa sprouts, mixed bean sprouts, “farmhouse mix” sprouts, purple carrots, sauerkraut veggies. Leafy Greens—spinach, mixed greens, dulse seaweed, greens in sauerkraut. Local Ingredients: Purple carrots from JenEhr Family Farm, alfalfa sprouts and mixed bean sprouts from Troy Community Farm, “Ferment of the Month” sauerkraut from Fizzeology, mixed greens from Don’s Produce (no website), “farmhouse mix” sprouts from Garden to Be, spinach from Snug Haven. Afternoon Beverage: Half a bottle of Reed’s Culture Club Goji Ginger Kombucha. Dinner: A scrumptious vegan bowl of sprouted quinoa, roasted brussels sprouts leftover from my grilled cheese adventures, Black Pepper & Thyme Tofu adapted from Olives for Dinner, and Parsnip Bacon adapted from Food & Wine, all slathered in a dilly version of Christy Morgan’s Cashew Basil Aioli. I feel that this meal needs no explanation. How can one ever go wrong with a vegan bowl? I would like to offer one suggestion, however: run to the kitchen and make the Black Pepper & Thyme Tofu immediately. You won’t be sorry. Also, on a quick recipe-related note, I subbed liquid smoke for the smoked sea salt in the Parsnip Bacon—my mother’s obsession with the concentrated smokiness of this genius product has now transferred over to me. Meal Checklist: Protein—tofu, cashews. Whole Grain—sprouted quinoa. Vegetables—brussels sprouts, thyme, parsnips, dill. Leafy Greens—brussels sprouts. Local Ingredients: Parsnips from Driftless Organics. Comment Provoking Questions: What is your favorite cinnamon roll filling? How about your favorite vegan hot sandwich? Have you tried/seen Reed’s kombucha before? Before launching into my weekly What I Ate Wednesday spiel, I’d like to thank you all for the outpouring of support I’ve recieved for the article I posted yesterday, entitled We Can Keep Romanticizing Our Food Choices as Long as They Don’t Involve Animal Suffering. Here’s an excerpt: “Do we think that shopping in a manner that we consider morally sound, in that it supports the local economy, serves as a legitimate excuse to overlook the ethical implications of other aspects of our food choices, such as whether or not a sentient being—who would undoubtedly choose life over slaughter—died merely to satisfy our taste preferences, even though we know that humans can easily thrive on a plant-based diet?” I hope you’ll hop on over to yesterday’s post and give it a read if you haven’t already! Breakfast: A green smoothie of 1 frozen banana, a large handful each of frozen pineapple and raspberries, 1 tbsp goji berries, 1 tbsp hemp seeds, 1/2 tsp maca powder, 1/2 scoop Amazing Grass Green Superfoods powder, 8 medium leaves of lacinato kale, and 1 cup homemade almond milk, topped with 1/2 cup of my version of Nouveau Raw’s Pumpkin Caramel Cereal. This Christmas, I positively shrieked with delight upon unwrapping Superfood Kitchen, a gorgeous tome by Julie Morris of extremely healthy recipes featuring every superfood imaginable. Though I already incorporated many of what Julie categorizes as superfoods into my diet prior to reading her artfully written cookbook, her playful voice inspired in me an even greater awareness of the benefits of including these highly nutrient-dense foods into everyday meals. As such, I bought a bag of goji berries that have earned a spot in my morning smoothies, imparting in them an intriguing chocolately flavor, and have also began to utilize some variety of berries—the most antioxidant-rich of fruits—in every smoothie. Breakfast Checklist: Protein—hemp seeds, almond milk, almond meal, chia seeds, sunflower seeds (last three in cereal). Whole Grain—buckwheat. Fruit—banana, raspberries, pineapple, dates, apricots, persimmons. Leafy Green—lacinato kale. “Super Food”—Amazing Grass powder, hemp seeds, maca, goji berries, chia seeds. 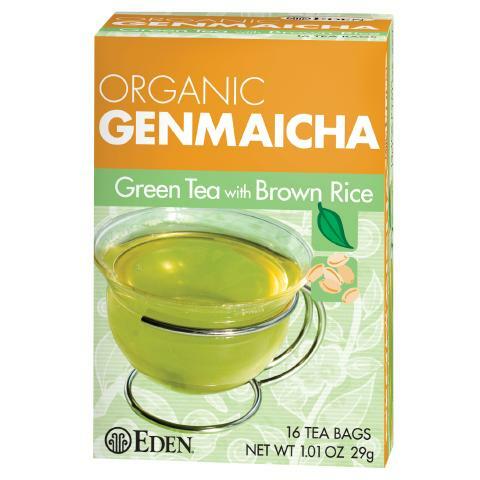 Morning Tea: Eden Organic Genmaicha green tea. Lunch: A salad of mixed greens, alfalfa sprouts, mixed bean sprouts, carrots, parsley, and dulse flakes, all tossed with Liquid Gold Dressing and topped with Kickapoo Kimchi, accompanied by a plate of Happy Crackers with garlic powder and sundried tomatoes, a ball of Vegan Buffalo Mozzarella, and a dollop each of Roasted Garlic & Kale Hummus and Sweet Potato Hummus with Fennel Seeds and Smoked Salt. You know it’s a good day when not one, but two hummus varieties grace your plate. A sucker for roasted garlic, kale, sweet potatoes, fennel seeds, and smoked salt, both of the hummuses in which I reveled today spoke directly to my culinary heart, nourishing my spirit as well as my health. Both hummuses pack a huge flavor punch and finish with a spicy kick—yum! Meal Checklist: Protein—sesame and flax seeds in crackers, cashews and soy yogurt in mozzarella, tahini and garbanzo beans in hummuses. Whole Grain—brown rice and quinoa in crackers. Vegetables—parsley, alfalfa sprouts, mixed bean sprouts, carrots, kimchi veggies, sundried tomatoes, garlic, sweet potato. Leafy Greens—mixed greens, dulse seaweed, cabbage in kimchi, kale in hummus. Local Ingredients: Carrots from Tipi Produce, alfalfa sprouts and mixed bean sprouts from Troy Community Farm, Kickapoo Kimchi from Fizzeology. Afternoon Beverage: A tall glass of NessAlla Kombucha in a gorgeous seasonal flavor of Hibiscus Ginger Cardamom, oh my! Dinner: Three Shiitake Cabbage Rolls with Chestnut Cream from Veggie Wedgie accompanied by a Borchst-Inspired Shredded Beet and Fennel Salad loosely based off of Leanne’s Brilliant Beet Slaw. During the summer when I first glimpsed Veggie Wedgie’s cabbage roll recipe, which featured two of my all-time favorite ingredients—tempeh and chestnuts—I vowed to recreate it as soon as possible. Unfortunately, a little thing called college got in the way and forced me to endure five long months with this recipe tantalizing me every time I opened my “Recipes to Try” Word document. Fortunately, after finally making them, the cabbage rolls certainly lived up to the high expectations I had set for them—deeply earthy from the shiitakes, hearty and toothsome from the tempeh, refreshing and leafy from the cabbage, and decadently creamy from the chestnut sauce. This deceptively simple recipe falls short of absolutely nothing in the flavor department. Place lemon juice, dill, parsley, olive oil, seeds, and garlic in the bowl of a mini food processor. Blend until everything is broken up, but still slightly chunky. Drop into a bowl with shredded beets and fennel. Stir to coat. Meal Checklist: Protein—tempeh, chestnuts. Whole Grain—none. Vegetables—shiitake mushrooms, dill, parsley, beets, garlic, fennel. Leafy Greens—savoy cabbage. Local Ingredients: Tempeh from The Simple Soyman, beets from Harmony Valley Farm. Comment Provoking Questions: Which superfoods do you like to incoporate into your daily meals? What is your favorite creatively flavored hummus? How do you feel about borchst (I’ve never actually tried it! )?